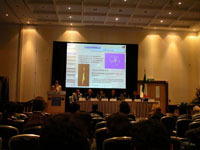 EurOCEAN 2004 (10-13 May 2004, Galway, Ireland) provided a forum to highlight major European Commission projects in marine science and technology and to efficiently contribute to the design of the 7th Framework Programme. 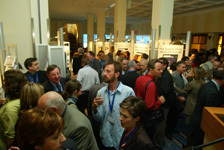 In the Galway Declaration, adopted at the conference, the research community voiced their joint vision on the ocean's crucial role in the system Earth functioning and the importance of marine science and technology in generating the essential knowledge needed to fuel the economy, in harmony with the environment. 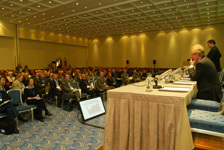 EurOCEAN 2004 was organized by the 2004 Irish Presidency of the Council of the European Union, in collaboration with the European Commission and the European Marine Board.